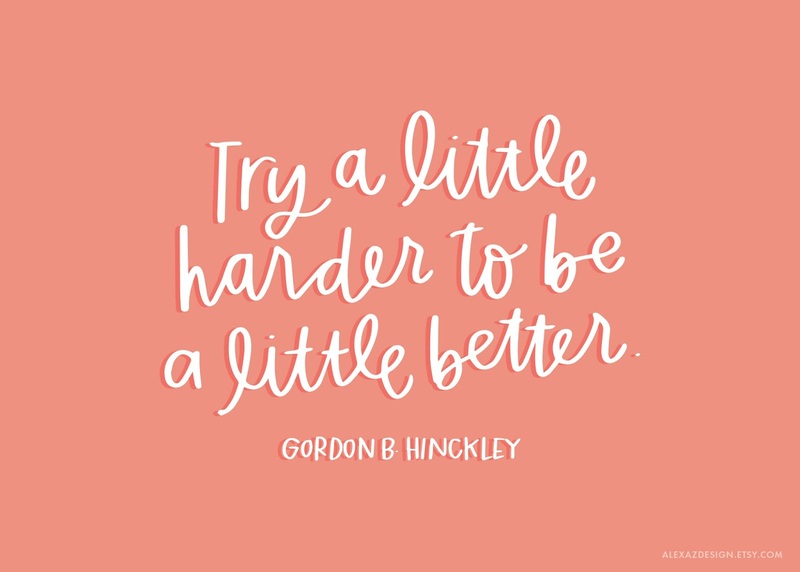 I'm so excited for the Relief Society lessons this year as they focus on the teaching of Gordon B. Hinckley. 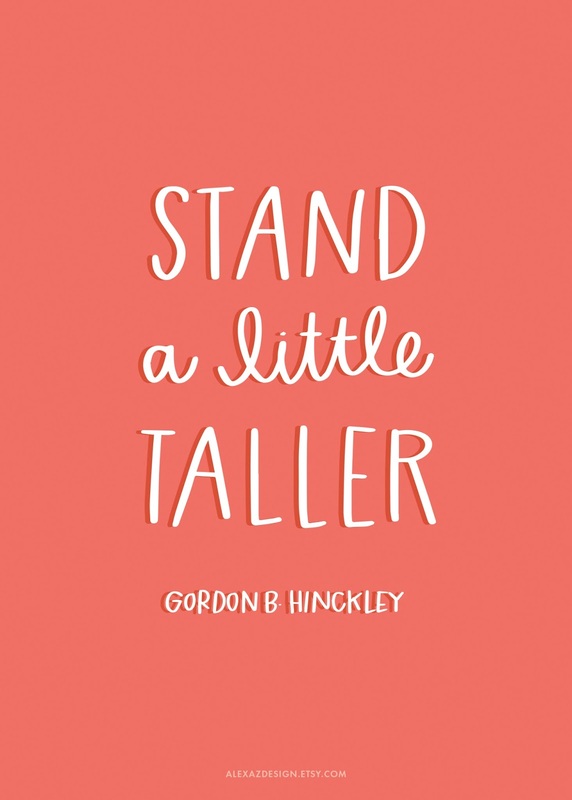 I've always been fond of his optimistic and positive outlook on life, and absolutely love his quotes! I hand lettered a few of my favorites to share with you! 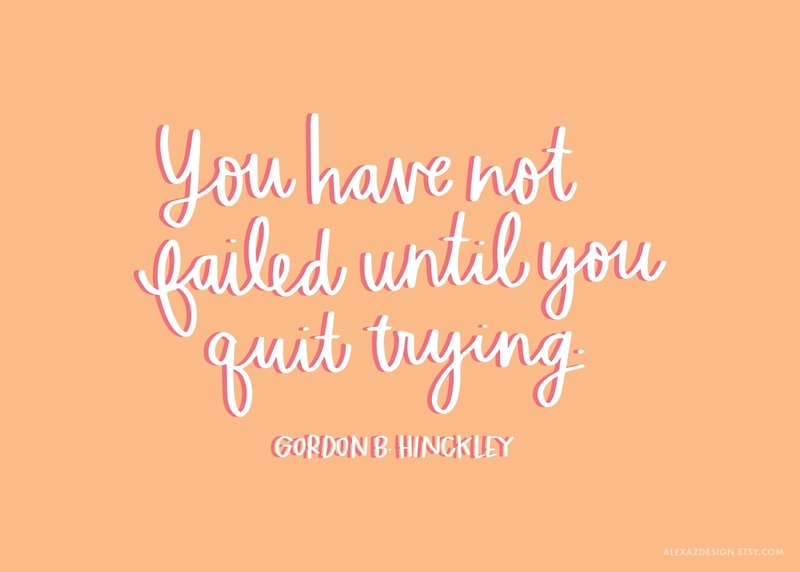 You can download them for free and use them as Relief Society lesson handouts, frame them, whatever you want. :) They're all sized as 5x7's, so you can easily upload them to a local photo print shop (Costco, Walgreens, etc) or print them at home or a copy shop on thick cardstock. You can download one or all the quotes below, or pin them now to use later. For personal/church use only. When sharing on social media, please tag @alexazurcher. Not to be edited or sold. 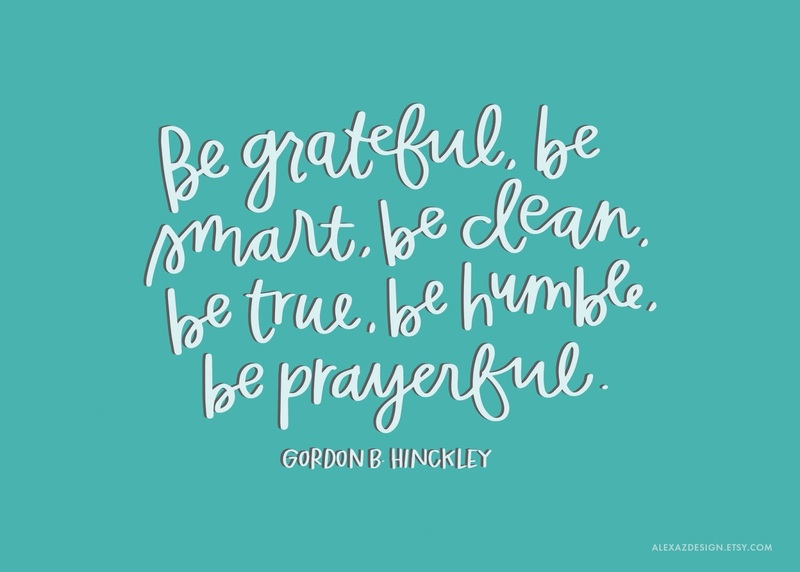 "Be grateful, be smart, be clean, be true, be humble, be prayerful." 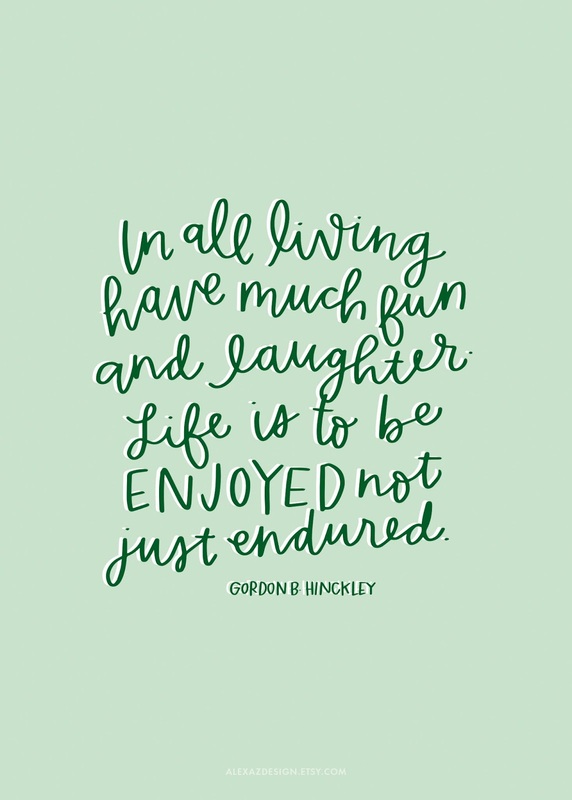 "In all living have much fun and laughter. Life is to be enjoyed, nut just endured." 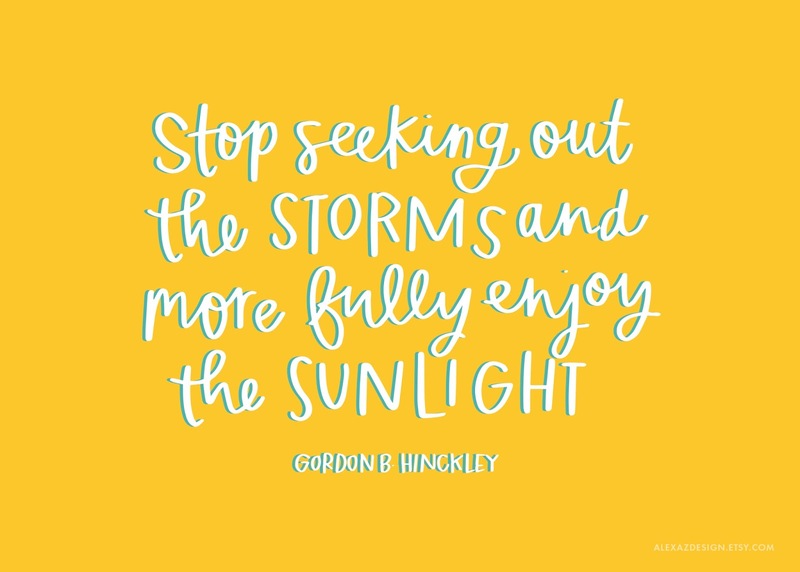 "Stop seeking out the storms and more fully enjoy the sunlight." "Get on your knees and pray, then get on your feet and work." 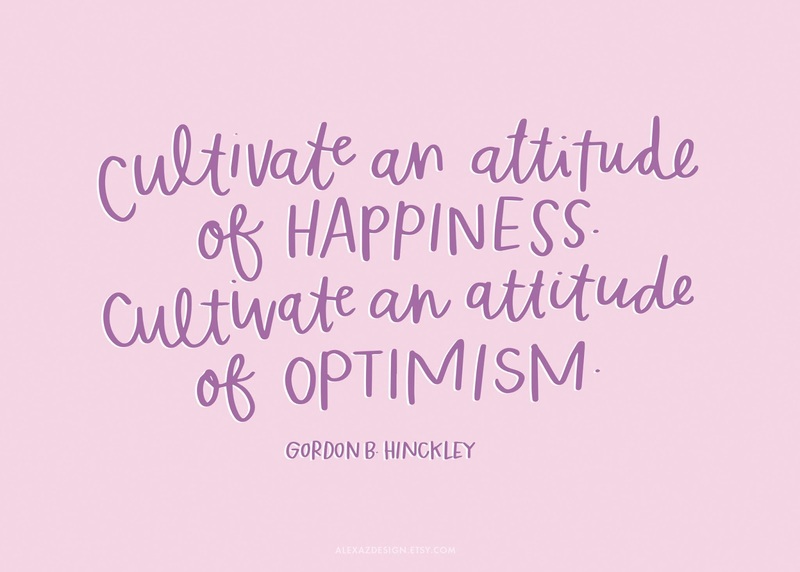 "Cultivate an attitude of happiness. Cultivate an attitude of optimism." 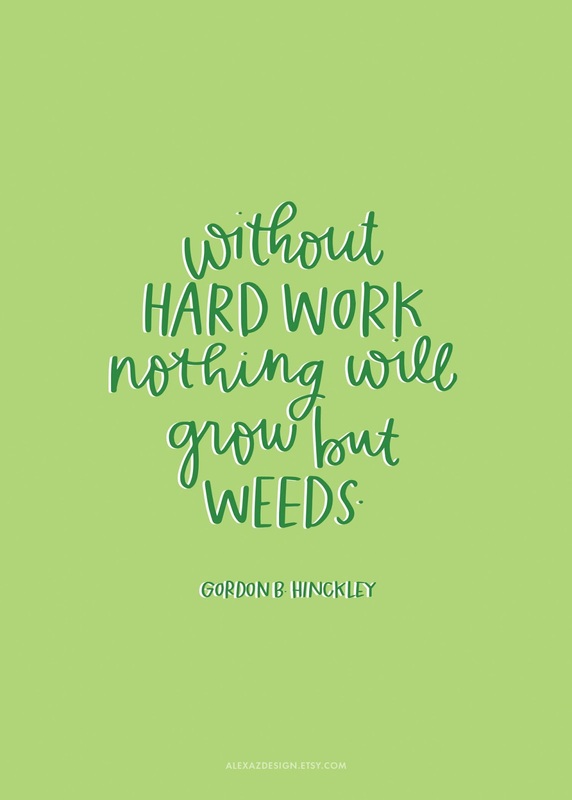 "Without hard work, nothing will grow but weeds." 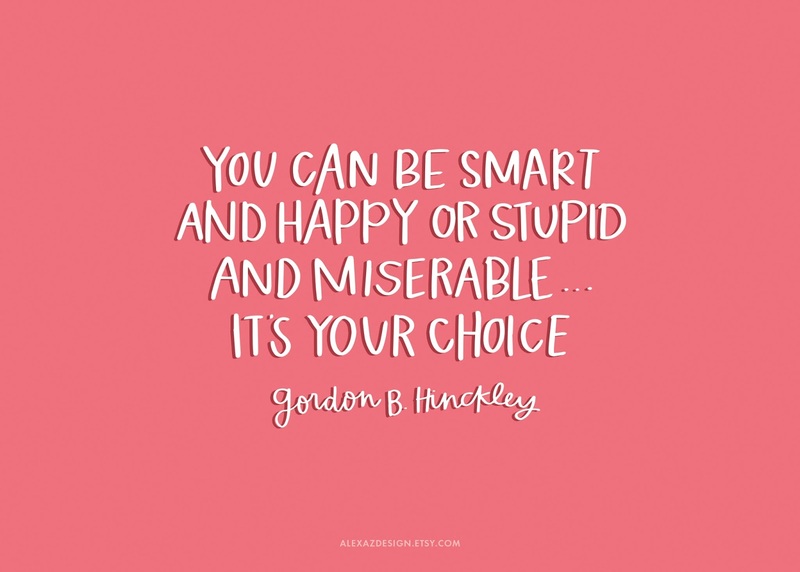 "You can be smart and happy or stupid and miserable...it's your choice." "It isn't as bad as you sometimes think it is. 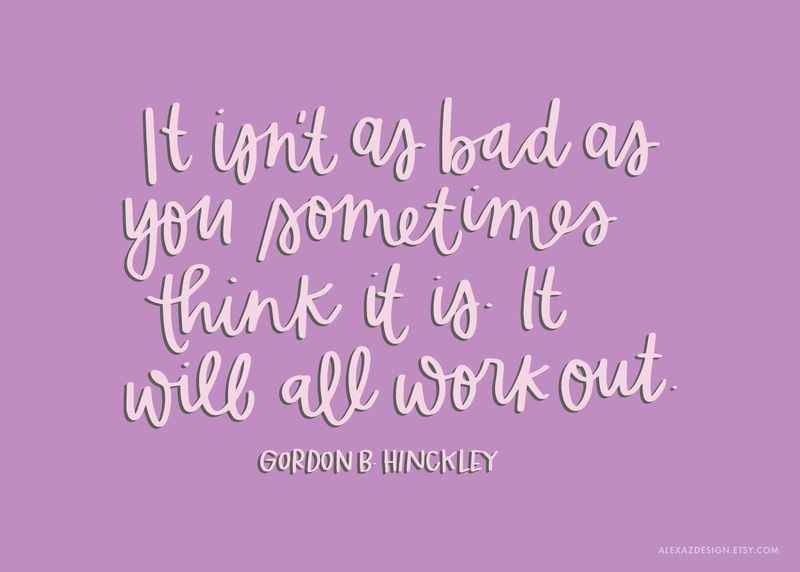 It will all work out."